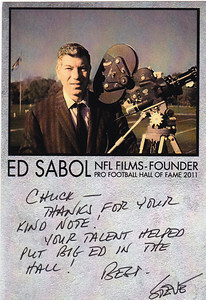 This is a note from NFL FILMS President Steve Sabol to me regarding his dad, Big Ed's induction into the NFL HALL OF FAME in August 2011. 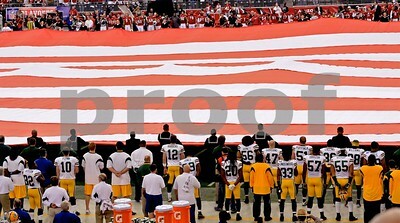 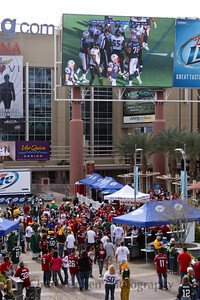 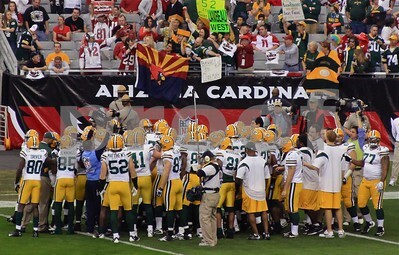 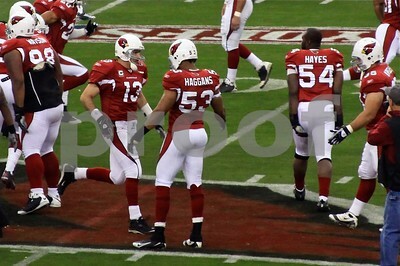 I was a freelance NFL Films cameraman for over 16 years. 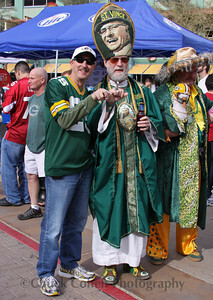 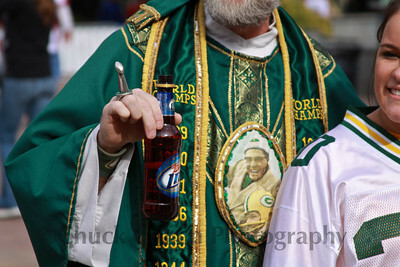 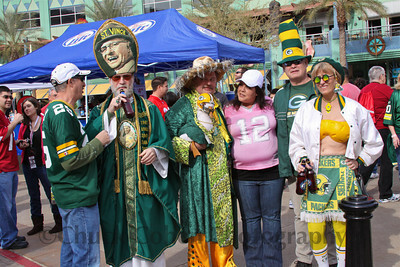 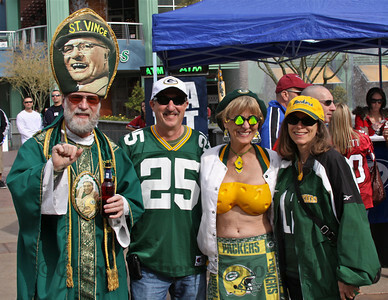 St. Vince shows off his Lombardi Super Bowl Trophy ring and his Miller Lite Beer...the two go hand in hand for Cheeseheads! 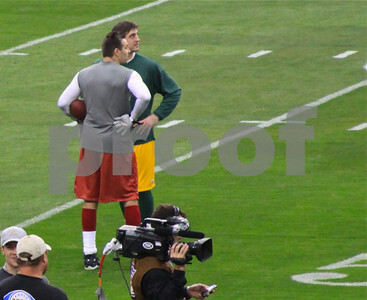 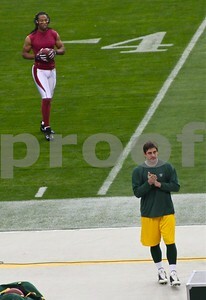 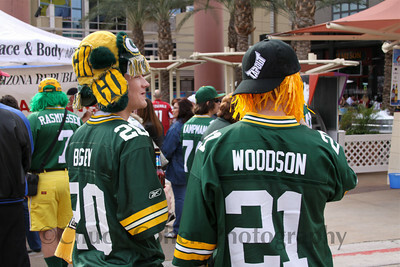 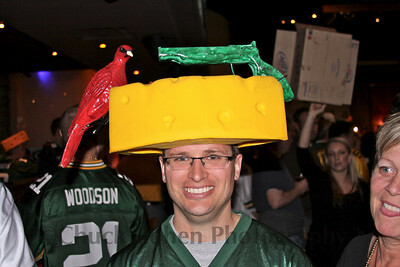 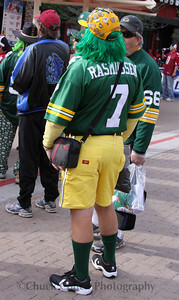 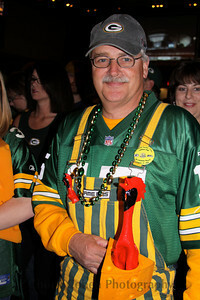 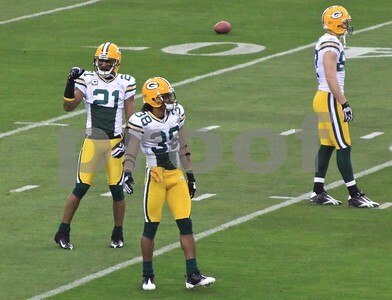 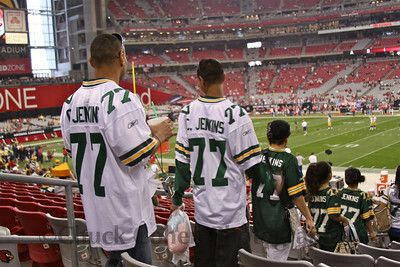 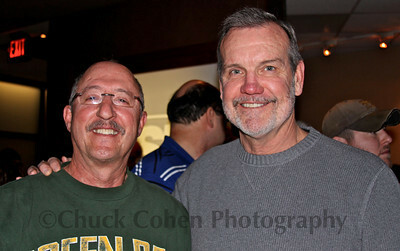 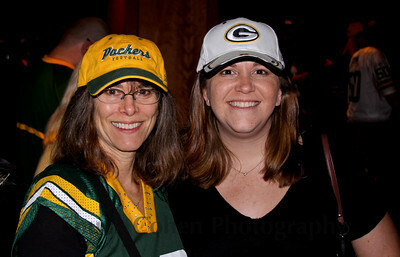 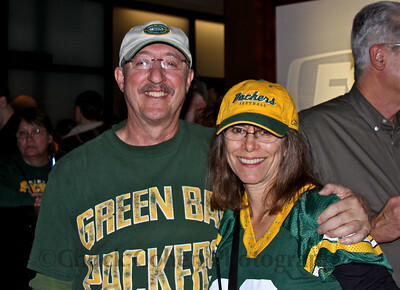 One stunning Packer Cheesehead is game ready! 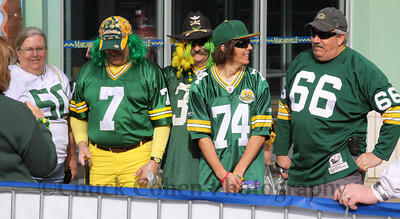 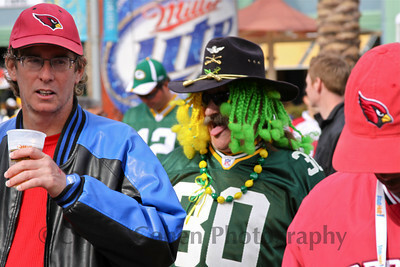 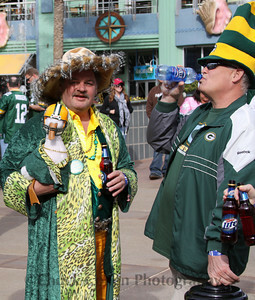 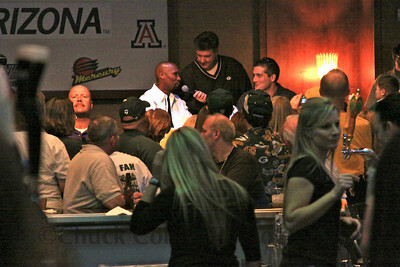 That's Matt Millen hiding from Lions fans dressed in Packers drag holding the afflack duck and a cold one as his buddy downs a cold "water"!